In the days before the Internet, the only sources of information available to doctors seeking information quickly were print and colleagues. Print would comprise textbooks and journals and involve not only the effort of locating the relevant text and then the relevant part of the text but also knowing where to look in the first place. Availability would depend on what was to hand. Then there were the issues around datedness: even with the latest edition, it was possible that what one was seeking was already out of date or that there was a divergence of opinion in the medical community and one’s text or journal article was only reporting part of the issue. All this changed as the Internet developed. No longer was it the case that back issues of journals had to be consulted physically, going along one’s shelf or in the very heavy bound volumes often found in university and hospital libraries. Literature searches that previously might have taken weeks could now be done in seconds – although it could take considerable time to sift through the pages of hits to get the most relevant material, if one were so inclined. Looking for information to aid a clinical decision is, in contrast to a literature review conducted for an essay, more likely to be a somewhat pressing affair and, this being so, it is human nature to follow the path of least resistance. It should come then as no surprise that medical practitioners seeking information on the Internet should look at the sites that come at or near the top of the first page of their search results. And at or near the top of any page of search results on almost any topic is Wikipedia. The aim of this article is to discuss medical practitioners’ use of Wikipedia, what this consists of and what it might be. We will do so by considering the context and history of Wikipedia before moving on to discuss the relationship between Wikipedia and the medical profession. In so doing, we will consider how Wikipedia is used in medicine as a means of informal self-education and how it is evolving. From its very first page in 1991 [1Home of the first website Accessed: 11 December 2016 2016. Available at: http://info.cern.ch/], the World Wide Web has grown at a phenomenal rate to now exceed 1 billion pages in use at any one time [2Total Number of Websites 2016. Available at: http://www.internetlivestats.com/total-number-of-websites/], covering just about the entire range of human experience and knowledge. In addition, there is an unknown number of additional pages: those not currently in use and those not findable by search engines – the latter includes the infamous Silk Road but also many innocent pages, such as those on company intranets whose owners simply do not want the public to be able to access them without proper authorisation [3Egan M. What is the Dark Web? How to access the Dark Web What's the difference between the Dark Web and the Deep Web? 2016. Available at: http://www.pcadvisor.co.uk/how-to/internet/what-is-dark-web-how-access-dark-web-deep-joc-beautfiulpeople-3593569/]. The explosive growth of the World Wide Web led very quickly to a plethora of websites devoted to healthcare, some very serious, some quite frivolous, some misleading and some even dangerous. It also led to the publication of online of academic journals and even entire textbooks, some open access, most behind pay walls. However, these sites were, for the most part, material originally created for print that was then uploaded to the internet. Wikipedia is an example of the so-called ‘Web 2.0’, a ‘read and write’ web [4Greenhow C, Robelia B, Hughes J. Web 2.0 and Classroom Research: What Path Should We Take Now? Educ Res 2009; 38(4): 246-59. [http://dx.doi.org/10.3102/0013189X09336671] ] as opposed to the ‘read-only’ web which originated from the work of Tim Berners-Lee [5Naughton J. A brief history of the future: origins of the internet. London: Phoenix 2000.]. Web 2.0 is conceived as a space where users contribute content which they upload and share with others. In contrast, Web 1.0 is much more of a static space in which users access content uploaded by providers, not by each other. In the present day, the two coexist. Well-known examples of Web 2.0 include Snapchat, YouTube, Vimeo, Facebook, Instagram, Twitter, LinkedIn and Wikipedia. George et al. describe these as “powerful symbols of a new generation of online tools and applications that foster user-generated content, social interaction, and real-time collaboration” [6George DR, Rovniak LS, Kraschnewski JL. Dangers and opportunities for social media in medicine. Clin Obstet Gynecol 2013; 56(3): 453-62. There are however significant differences between Wikipedia and these other websites. For example, while one’s Facebook friends can share or comment on what one has posted, they cannot alter it. A video posted to YouTube or Vimeo might be downloaded, edited and reposted but it cannot be amended ad hoc. Wikipedia, on the other hand, is an example of a wiki, a type of website where users can edit. According to Laurents and Vickers, “Wikis use a relatively simple editing syntax and [maintain] a public record of all edits to facilitate collaboration between multiple contributors” [7Laurent MR, Vickers TJ. Seeking health information online: does Wikipedia matter? J Am Med Inform Assoc 2009; 16(4): 471-9. [http://dx.doi.org/10.1197/jamia.M3059] [PMID: 19390105] ]. A Facebook page can have multiple commentators but these do not contribute to the original entry; they merely add their thoughts and viewpoints. Of note, as Azzam et al. state, is that “all Wikipedia edits are saved in perpetuity” [8Azzam A, Bresler D, Leon A, et al. Why medical schools should embrace wikipedia: Final-year medical student contributions to wikipedia articles for academic credit at one school. academic Medicine Journal of the Association of American Medical Colleges 2016.]. Brioschi tells us that the idea behind Wikipedia began with Richard Stallman, whom she terms “the prophet of free software”, who wrote in 1999 that the World Wide Web had the potential to evolve into a universal encyclopaedia covering the entire range of knowledge [9Brioschi F. Wikipedia: una rivoluzione silenziosa che sta cambiando la realtà. In: Laszlo E, Biava P, Eds. Il senso ritrovato. Rome: Springer-Verlag 2013. [http://dx.doi.org/10.1007/978-88-470-2832-6_9] ]. Wikipedia takes this notion much further than that suggested by Stallman and represents not only the potential to cover the whole of human knowledge but, rather than involve only an élite in the writing and editing of articles, allow anyone who has access to the World Wide Web to write or edit any article on any subject. This is what O’Reilly terms a “radical experiment in trust” [10O’Reilly T. What Is Web 2.0. Design patterns and business models for the next generation of software communications & strategies 2007; 65: 17-37. ], trust which is open to abuse as demonstrated by the case of the UK journalist Johann Hari who worked for The Independent until resigning in disgrace in 2011. Aikenhead describes how using a false identity, Hari had maliciously amended the Wikipedia pages of journalists he disliked… [He] had also edited his own Wikipedia page, lavishly flattering his profile” [11Aikenhead D. Johann Hari: I failed badly. When you harm people, you should shut up, go away and reflect on what happened. The Guardian. 2015.]. However, Metcalf and Powell reassure us that “a Nature survey of Wikipedia articles concluded that such high profile incidents are an exception rather than the rule” [12Metcalfe D, Powell J. Should doctors spurn Wikipedia? J R Soc Med 2011; 104(12): 488-9. The very idea of allowing anyone to edit an entry in Wikipedia is a radical departure from the previous practice of encyclopedia entries being written by persons held to be experts in the field in question, such as was established with the creation of the Encyclopédie edited by Diderot and d’Alembert in 18th century France [13Encyclopédie 2017. Available at: https://en.wikipedia.org/wiki/Encyclopédie]. This open editing led very quickly to distrust of Wikipedia, a distrust shown by those academics who demanded that students do not cite it as a source for their essay assessments [14Henk E. Academics and Wikipedia: Reframing Web 2.0 as a disruptor of traditional academic power knowledge arrangements. Campus-Wide Inf Syst 2010; 27(3): 173-85. [http://dx.doi.org/10.1108/10650741011054474] , 15Knight C, Pryke S. Wikipedia and the University, a case study. Teach High Educ 2012; 17(6): 649-59. Allowing anyone to edit a page accepts the possibility of misconceptions, ignorance, and vandalism. Pages are susceptible to bias or confrontation, adding and deleting differing opinions back and forth with no real addition to the article. Many dismiss Wikipedia as a credible source because of this, without looking further into it. Wikipedia attempts to remedy these potential problems by giving guidelines and thoughtful policies on article editing [16Burgos C, Bot A, Ring D. Evaluating the effectiveness of a wiki internet site for medical topics. J Hand Microsurg 2012; 4(1): 21-4. This is exemplified by the extensive guidance provided by Wikipedia on assessing the quality of sources [17Wikipedia: Identifying reliable sources (medicine) 2016. Available at: https://en.wikipedia.org/wiki/Wikipedia:Identifying_reliable_sources_(medicine)]. The guidance includes ensuring that all material is attributable to reliable, published sources with all quotations and anything that is open to challenge being supported by inline citations [18Wikipedia:Verifiability 2016. Available at: https://en.wikipedia.org/wiki/Wikipedia:Verifiability]. This, of course, assumes that the citations do not unfairly decontextualize the material cited or employ false citations and a lot of trust is placed in the wisdom of the crowd to identify and correct errors and misrepresentations. A decade later, as anyone who does a search on the internet can testify, for virtually any topic, Wikipedia will appear on the first page of search results and very frequently as the first result (other than advertisements) on that first page. As Burgos et al. put it, “search engines often offer a Wikipedia page at the top of the list for a given search” [16Burgos C, Bot A, Ring D. Evaluating the effectiveness of a wiki internet site for medical topics. J Hand Microsurg 2012; 4(1): 21-4. [http://dx.doi.org/10.1007/s12593-012-0064-0] [PMID: 23730084] ]. This builds on Laurents’ and Vickers’ statement in 2009 that “if the first page of results of a general search engine lists ten Web sites, Wikipedia can be found among those results in more than 70% of cases” [7Laurent MR, Vickers TJ. Seeking health information online: does Wikipedia matter? J Am Med Inform Assoc 2009; 16(4): 471-9. [http://dx.doi.org/10.1197/jamia.M3059] [PMID: 19390105] ]. In addition, according to Dunne et al., a 2008 study “showed that 68% of search engine users click a search result within the first page of results (the default for Google is 10 results per page), and are unlikely to go to the second page of results” [19Dunne SS, Cummins NM, Hannigan A, Shannon B, Dunne C, Cullen W. Generic medicines: an evaluation of the accuracy and accessibility of information available on the Internet. BMC Med Inform Decis Mak 2013; 13: 115. Meanwhile, there is evidence that attitudes in academia towards Wikipedia are changing, where as Konieczny puts it, “Wikipedia has become one of the most often consulted reference works, used by nearly all students as well as most academics and educators” [20Konieczny P. Teaching with Wikipedia in a 21st-century classroom: Perceptions of Wikipedia and its educational benefits. J Assoc Inf Sci Technol 2016; 67(7): 1523-34. [http://dx.doi.org/10.1002/asi.23616] ] while Soules shows how, over five years in four universities of the California State University System, there has been a move across all levels of faculty to a more favourable attitude towards Wikipedia [21Soules A. Faculty perception of Wikipedia in the California State University System. New Libr World 2015; 116(3/4): 213-26. Since the invention of writing, there have been medical and healthcare texts [22Frey EF. The earliest medical texts. Clio Med 1985-1986; 20(1-4): 79-90. [PMID: 2463895] ] and these have often assumed, or been ascribed, a level of authority that close scrutiny of their contents may not always have justified. How else to explain the adherence, often in the face of overwhelming evidence to the contrary, to outdated and incorrect texts? Or to outdated methods such as those proposed and practised by Galen who staunchly defended the bloodletting against all who expressed any doubts as to its efficacy [23Mattern S. Galen and his patients. Lancet 2011; 378(9790): 478-9. [http://dx.doi.org/10.1016/S0140-6736(11)61240-3] [PMID: 21826808] ]. Strict adherence to Galen’s ideas led George Washington’s doctors to bleed him of around 40% of his total blood volume during the man’s final hours [24Markel H. The excruciating final hours of President George Washington 2016. Available at: http://www.pbs.org/newshour/updates/dec-14-1799-excruciating-final-hours-president-george-washington/]. This was despite the objections to this practice made by Paracelsus more than two centuries earlier [25Paracelsus . 2016. Available at: https://en.wikipedia.org/wiki/Paracelsus], the nascent scientific-like approach of Paracelsus being ignored in favour of the authority accorded to Galen. Every advance in communications technology has been met with predictions of the demise of the teacher, at least for more advanced learning [26Matheson D. Post-compulsory education in Suisse romande. Glasgow: University of Glasgow 1992. ], that learners would employ the new technology, teach themselves and do without teachers [27Matheson DJ. An examination of some of the difficulties of establishing an open university in a small linguistic area: the case of Suisse romande. Int J Lifelong Educ 1996; 15(2): 114-24. [http://dx.doi.org/10.1080/0260137960150206] ]. However, the learners would not create the learning material but rather use what was deemed worthwhile by publishers and those who controlled the media and risk a sense of alienation and isolation as a consequence [28Matheson C, Matheson D. Access and Accessibility in E-Learning. In: Donnelly R, McSweeney F, Eds. Applied E-Learning and E-Teaching in Higher Education. Hershey, PA: IGI Global 2009. [http://dx.doi.org/10.4018/978-1-59904-814-7.ch007] ]. This rather limited view of auto-didacticism simply replaces the physical teacher with a text, by a television programme, by a computer programme, by a website or by a selection and collection of any of these. Web 2.0 brings the possibility of a vision of online education much more akin to that of Paolo Freire in that the roles of teacher and learner are interchangeable [29Freire P. A Pedagogy of the Oppressed. Harmondsworth: Penguin 1996.]. The growth of evidence-based medicine, defined by Sackett et al. as “integrating individual clinical expertise and the best external evidence” [30Sackett DL, Rosenberg WM, Gray JA, Haynes RB, Richardson WS. Evidence based medicine: what it is and what it isn’t. BMJ 1996; 312(7023): 71-2. [http://dx.doi.org/10.1136/bmj.312.7023.71] [PMID: 8555924] ], requires an openness to clinical advances and a critical faculty sufficiently developed as to be able to evaluate both the patient’s presentation and the published evidence. And, as Greenhalgh suggests, there is a need to see not just the story but the story within the story. That is, in the development of the differential diagnosis to use not only the clinical signs and symptoms, but also the patient’s context [31Greenhalgh T. Narrative based medicine: narrative based medicine in an evidence based world. BMJ 1999; 318(7179): 323-5. [http://dx.doi.org/10.1136/bmj.318.7179.323] [PMID: 9924065] ]. The practice of medicine is therefore not purely scientific in the sense of the reproducibility one might find in a scientific experiment but rather it is a combination of scientific knowledge and its application and the art of interpreting both that knowledge and the context within which it appears. Put bluntly, the practice of medicine requires acknowledgement that the diagnosis and treatment of a patient is not a scientific experiment in which one has control of all initial conditions; it is a field trial where some aspects may diverge from theory and where there may be question over which theory applies in the first place. As William Osler is quoted as saying: “Variability is the law of life, and as no two faces are the same, so no two bodies are alike, and no two individuals react alike and behave alike under the abnormal conditions which we know as disease” [32Osler W. 2015. Available at: https://en.wikiquote.org/wiki/William_Osler]. Add into this frame not only the vast amount of knowledge in medicine, and the debates around practice and treatment but also the rapid increase in that knowledge which has been producing an ever-increasing number of journals and we see a world in which simply keeping up with a narrow specialism can be quite a challenge, never mind having to keep up with a wider specialism or with areas that abut onto one’s specialism. According to Ozdoba, In the academic community Wikipedia plays a strange role. It is comparable to popular newspapers: nobody will admit reading Bild in Germany or the Sun in Great Britain, so where do the print runs of millions of daily copies come from [33Ozdoba C. Wikipedia: A good address for neuroradiologists? Clin Neuroradiol 2011; 21(3): 181-2. The quality of the evidence taken obtained from the 2500 plus references from over 50 Wikipedia pages was of sufficiently sound quality to suggest that, for health related entries, Wikipedia is appropriate for use by nursing students [38Haigh CA. Wikipedia as an evidence source for nursing and healthcare students. Nurse Educ Today 2011; 31(2): 135-9. Herbart et al. sought to assess the extent to which medical students in Germany, Austria and Norway used Wikipedia in their studies, how these students judged the quality of entries and whether they ever found errors when comparing Wikipedia with their knowledge, the literature, their gut feeling or with nothing at all [39Herbert V. Andreas Frings, Rehatschek H, Richard G, Leithner A. Wikipedia – challenges and new horizons in enhancing medical education. BMC Med Educ 2015; 15(32)]. Asked if they have ever found inaccurate medical entries on Wikipedia, 1,324 (97%) students affirmed this. Of those, 861 (65%) students did not know how to revise articles while 199 (15%) let the false information unaltered, despite knowing how to correct articles [39Herbert V. Andreas Frings, Rehatschek H, Richard G, Leithner A. Wikipedia – challenges and new horizons in enhancing medical education. BMC Med Educ 2015; 15(32)]. Herbart et al. students of assessed the quality of articles either with respect to prior knowledge or by comparing with textbooks / discussing with faculty and peers [39Herbert V. Andreas Frings, Rehatschek H, Richard G, Leithner A. Wikipedia – challenges and new horizons in enhancing medical education. BMC Med Educ 2015; 15(32)]. In other words, they did exactly as suggested by Wikipedia’s own article on reliability: they used Wikipedia as a starting point, bearing in mind that it is a general reference work and one needs to check facts and be aware that mistakes and omissions can occur [40Heilman JM, Kemmann E, Bonert M, et al. Wikipedia: a key tool for global public health promotion. J Med Internet Res 2011; 13(1): e14. [http://dx.doi.org/10.2196/jmir.1589] [PMID: 21282098] ]. However, it is well-known that text books and peer-reviewed articles can be out of date before they are even published and therein lies both a strength and a weakness of Wikipedia: it can be updated swiftly [40Heilman JM, Kemmann E, Bonert M, et al. Wikipedia: a key tool for global public health promotion. J Med Internet Res 2011; 13(1): e14. [http://dx.doi.org/10.2196/jmir.1589] [PMID: 21282098] ], but this may be with errors at times. As is shown in Wakefield et al. 1998 article on an alleged causal link between MMR triple vaccine and autism [41Wakefield AJ, Murch SH, Anthony A, et al. Ileal-lymphoid-nodular hyperplasia, non-specific colitis, and pervasive developmental disorder in children. Lancet 1998; 351(9103): 637-41. [http://dx.doi.org/10.1016/S0140-6736(97)11096-0] [PMID: 9500320] ], it is not unknown for a peer-reviewed article to present conclusions which are simply not supported by the evidence provided. Indeed, by reading article of Wakefield et al. one is left to wonder how it ever even got sent to referees and not rejected immediately by the editor of The Lancet as unsuitable for publication as it is methodologically flawed across many dimensions (e.g. sample size, interpretation of data, unwarranted extrapolation, sources of information of questionable accuracy and so on). This is without going into the details of Wakefield’s financial interests which came to light in the investigations by Brian Deer [42Deer B. Secrets of the MMR scare. The Lancet’s two days to bury bad news. BMJ 2011; 342: c7001. [http://dx.doi.org/10.1136/bmj.c7001] [PMID: 21245118] -44Deer B. How the case against the MMR vaccine was fixed. BMJ 2011; 342: c5347. [http://dx.doi.org/10.1136/bmj.c5347] [PMID: 21209059] ] whose work resulted in the 2011 case before the General Medical Council at which Wakefield and one of his co-authors were struck off the UK Medical Register. Despite admonitions from universities and elsewhere regarding the accuracy and reliability of Wikipedia, studies show that 50–70% of practising and 70% of junior physicians use it as a medical information source [39Herbert V. Andreas Frings, Rehatschek H, Richard G, Leithner A. Wikipedia – challenges and new horizons in enhancing medical education. BMC Med Educ 2015; 15(32), 45Hughes B, Joshi I, Lemonde H, Wareham J. Junior physician’s use of Web 2.0 for information seeking and medical education: a qualitative study. Int J Med Inform 2009; 78(10): 645-55. [http://dx.doi.org/10.1016/j.ijmedinf.2009.04.008] [PMID: 19501017] ]. It goes almost without saying that a major attraction of Wikipedia is the fact that one can find there material on just about anything and this is equally true in topics in healthcare. An exception however concerns drug dosages as mention of these is specifically discouraged in the Wikipedia style manual for drug articles as such information is rarely within the scope of a general encyclopaedia and corruption of this information could result in serious harm [40Heilman JM, Kemmann E, Bonert M, et al. Wikipedia: a key tool for global public health promotion. J Med Internet Res 2011; 13(1): e14. There have been attempts at specialised wikis such as Medpedia, which was designed and run by medical practitioners. According to its founder James Curran, “Medpedia was a great experiment begun in 2007. Unfortunately, it never reached the size to be self-sustaining, and it ceased operations in early 2013” [46Jacqueline Laika's MedLibLog [Internet] 2013. Available at: https://laikaspoetnik.wordpress.com/2013/07/12/medpedia-the-medical-wikipedia-is-dead-and-we-missed-its-funeral/. 2013. [15 Nov 2016]. Available at: https://laikaspoetnik.wordpress.com/2013/07/12/medpedia-the-medical-wikipedia-is-dead-and-we-missed-its-funeral/. ]. Sites such as radiologywiki.org and WikiSurgery.com have also gone to the wall but ganfyd.org survives, styling itself as “the free medical knowledge base that anyone can read and any registered medical practitioner may edit” [47Ganfyd main page 2017. Available at: http://www.ganfyd.org/index.php?title=Main_Page. Accessed: 3 January 2017]. The restriction on editors may have its benefits but so does lack of such restriction. A comparison of some random items on Ganfyd and Wikipedia highlights some stark contrasts. For example, if one searches for non-alcoholic fatty liver disease, one finds on Ganfyd1 an account some 200 words long, complete with several typographical errors but only three references to academic sources. The Ganfyd entry contains only the definition of non-alcoholic fatty liver disease and the histological scoring [48Non-alcoholic fatty liver disease 2016. Available at: http://www.ganfyd.org/index.php?title=Non-alcoholic_fatty_liver_disease]. In contrast, the Wikipedia entry is nearly 2,000 words long, has no typographical errors, contains 54 references to academic sources (including JAMA, The Lancet, and the New England Journal of Medicine), and covers not only the definition of non-alcoholic fatty liver disease but also its signs and symptoms, causes, pathophysiology, diagnosis, management, epidemiology and its incidence in children [48Non-alcoholic fatty liver disease 2016. Available at: http://www.ganfyd.org/index.php?title=Non-alcoholic_fatty_liver_disease]. Clearly, the longer an entry one has, then the more scope there is for mistakes and errors to creep in but, as a starting point for furthering one’s knowledge, the Wikipedia entry would seem very much more useful than its counterpart in Ganfyd. While the Wikipedia community has continually worked to improve the quality of its health content since the project’s founding in 2001, few of the encyclopedia articles meet the quality standards that healthcare providers would expect before recommending that patients consult it [49Rasberry L. Wikipedia: what it is and why it matters for healthcare. BMJ 2014; 348(g2478): g2478. Rasberry, however, goes on to state that Cochrane has granted Wikipedians, on request, subscription-free access to the Cochrane Library [49Rasberry L. Wikipedia: what it is and why it matters for healthcare. BMJ 2014; 348(g2478): g2478. [http://dx.doi.org/10.1136/bmj.g2478] [PMID: 24714406] -51Cochrane Collaboration-Wikipedia Initiative 2016. Available at: https://meta.wikimedia.org/wiki/Cochrane_Collaboration-Wikipedia_Initiative/Welcome. Accessed: 25 November 2016 ]. Cochrane “is a global independent network of researchers, professionals, patients, carers, and people interested in health”, produces very highly regarded systematic reviews and its “work is recognized as representing an international gold standard for high quality, trusted information” [52Cochrane: about us 2016. Available at: http://www.cochrane.org/about-us. Accessed: 26 November 2016]. The Cochrane / Wikipedia Initiative. Was started in 2014 [and] supports the inclusion of relevant evidence within all Wikipedia medical articles, as well as processes to help ensure that medical information included in Wikipedia is of the highest quality and as accurate as possible. Trusted, evidence-based research can help people to make informed decisions about their own health care [51Cochrane Collaboration-Wikipedia Initiative 2016. Available at: https://meta.wikimedia.org/wiki/Cochrane_Collaboration-Wikipedia_Initiative/Welcome. Accessed: 25 November 2016 ]. A way forward from this would be for medical schools, rather than to eschew, spurn and denigrate Wikipedia as a source of medical and health information, to embrace it fully and to encourage their students not only to consult Wikipedia critically but also to amend and correct entries and to rewrite, discuss, critique, and improve them [40Heilman JM, Kemmann E, Bonert M, et al. Wikipedia: a key tool for global public health promotion. J Med Internet Res 2011; 13(1): e14. [http://dx.doi.org/10.2196/jmir.1589] [PMID: 21282098] ]. This has been the case in Dentistry in the University of Dundee in Scotland where, under the guidance of a recent dentistry graduate and with assistance from Cochrane, groups of dentistry students work on a voluntary basis to improve the quality of Wikipedia entries on oral health and hygiene [53Health CO. Editorial base blog Rewriting Wikipedia 2016. Available at: https://cochraneohg.wordpress.com/2016/07/08/rewriting-wikipedia/. Accessed: 26 November 2016]. Azzam et al. tell us that medical schools need to embrace Wikipedia. Asserting that “most medical students use Wikipedia as an information source, yet medical schools do not train students to improve Wikipedia or use it critically” [8Azzam A, Bresler D, Leon A, et al. Why medical schools should embrace wikipedia: Final-year medical student contributions to wikipedia articles for academic credit at one school. academic Medicine Journal of the Association of American Medical Colleges 2016. ], Azzam et al. created a credit-bearing course for final year medical students at the University of California in San Francisco in which the students had to work to improve health-related articles in Wikipedia. This engaged the students not only in the checking for accuracy but also in the major communication skills of editing other people’s work and in presenting sometimes complex material in as accessible a manner as possible.2 This could be taken a stage further and doctors, instead of creating new wikis like Ganfyd, could collaboratively edit the Wikipedia articles on the topics that interest them. By reading Wikipedia “cautiously and amend[ing] it enthusiastically” [7Laurent MR, Vickers TJ. Seeking health information online: does Wikipedia matter? J Am Med Inform Assoc 2009; 16(4): 471-9. [http://dx.doi.org/10.1197/jamia.M3059] [PMID: 19390105] ], doctors would perhaps demonstrate enlightened self-interest as patients would have more chance of accessing accurate information online and of hence bringing fewer misplaced notions into the consultation with their doctor. The more accurate are the entries in Wikipedia then potentially the less time the clinician has to spend debunking myths and correcting misinformation. If we invest time on this web resource today, [doctors] may in the future have a substantial amount of free constantly updated medical literature under a single umbrella [55Natarajan A, Racherla S. Wikipedia: encyclopaedia cardiologica. J R Soc Med 2012; 105(5): 191. Masukume et al. take this call further, by suggesting that medical journals actively promote and incentivise Wikipedia editing by the health-care community so that the most commonly used source of online health information is as reliable as possible [56Masukume G, Kipersztok L, Das D, Shafee TM, Laurent MR, Heilman JM. Medical journals and Wikipedia: a global health matter. Lancet Glob Health 2016; 4(11): e791. With its 56 active editors and 36 inactive editors (deemed inactive when they have not contributed to editing for over a month) [50WikiProject Medicine 2016. Available at: https://en.wikipedia.org/wiki/Wikipedia:WikiProject_Medicine. Accessed: 15 Nov 2016], WikiProjet Medicine goes some way towards the goal of improving reliability as it brings together interested parties and “aims to manage and help in curation of Wikipedia's medical articles” [50WikiProject Medicine 2016. Available at: https://en.wikipedia.org/wiki/Wikipedia:WikiProject_Medicine. Accessed: 15 Nov 2016]. The discussion page of WIkiProject Medicine gives a good indication of what it is about, bringing together interested parties from both lay and professional spheres and debating, for example, appropriate sources for images, what counts as evidence and so on [57Wikipedia talk: WikiProject Medicine 2017. Available at: https://en.wikipedia.org/wiki/Wikipedia_talk:WikiProject_Medicine. Accessed: 7 April 2017]. The home page shows the diverse projects and partnerships in which WIkiProject Medicine is involved, including the Cochrane / Wikipedia Initiative [51Cochrane Collaboration-Wikipedia Initiative 2016. Available at: https://meta.wikimedia.org/wiki/Cochrane_Collaboration-Wikipedia_Initiative/Welcome. Accessed: 25 November 2016 ], and the Wikipedia education program in medicine [58Wikipedia:Wikipedia education program in medicine 2017. Available at: https://en.wikipedia.org/wiki/Wikipedia:Wikipedia_education_program_in_medicine. Accessed: 7 April 2017] as well as the Wellcome Trust-funded post of part-time Wikipedian in residence at Cancer Research UK [59WikiProject CRUK 2016. Available at: https://en.wikipedia.org/wiki/Wikipedia:WikiProject_CRUK. Accessed: 7 April 2017]. This last shows one of the weaknesses in the Wikipedia method of editing in that an out-of-date page can remain without update. In this case, it is a matter of amending tenses and nothing more. In the Wikipedia education program in medicine, students are given “an assignment which includes editing the Wikipedia article for any topic taught in the class” [58Wikipedia:Wikipedia education program in medicine 2017. Available at: https://en.wikipedia.org/wiki/Wikipedia:Wikipedia_education_program_in_medicine. Accessed: 7 April 2017], an example of which is the class at UCSF [8Azzam A, Bresler D, Leon A, et al. Why medical schools should embrace wikipedia: Final-year medical student contributions to wikipedia articles for academic credit at one school. academic Medicine Journal of the Association of American Medical Colleges 2016.] outlined above. In 2009-10 we conducted a small scale opt-in survey of doctors’ use of Wikipedia as an aid to clinical decision-making [110 responses across all grades] [60Matheson D, Matheson C, Campain N, Price T, Collins P. The use of Wikipedia in clinical decision-making Association for Medical Education in Europe 2011. 29-31 August. Vienna, 61Poulter M. Doctors use, but don’t rely totally on, Wikipedia 2017. Available at: https://blog.wikimedia.org.uk/2012/04/doctors-use-but-dont-rely-totally-on-wikipedia/. Accessed: 11 January 2017] and repeated the process in 2016 (164 responses across all grades) [62Matheson D, Matheson C. Medical and healthcare practitioners’ use of Wikipedia in clinical decision-making. Biannual Conference of the Comparative Education Society in Europe. 30 May – 3 June 2016; Glasgow. ]. In both cases, a cacade method was employed, with respondents encouraged to pass on the questionnaire to their peers. The aim in both instances was not to get a representative sample but rather to get an indication of feelings towards the use of Wikipedia as an aid to clinical decision-making. Given the media exposure of the likes of Hasty et al.’s rather strong extrapolation [34Hasty R, Garbalosa R. Wikipedia vs peer-reviewed medical literature for information about the 10 most costly medical conditions. J AM Ost Assoc 2013; 114(5): 368-73.] and various media’s further extrapolation of this [35Chatterjee A, Cooke R, Furst I, Heilman J. Is Wikipedia’s medical content really 90% wrong? [Internet]: Official Blog of the Cochrane Community 23 June 2014 [cited 13 December 2016] 2014. Available at: http://community-archive.cochrane.org/news/blog/wikipedia%E2%80%99s-medical-content-really-90-wrong], it is no great surprise that in 2016 a smaller proportion of respondents should agree that they have ever used Wikipedia for medical information than was the case in 2009-10 (p=.008). Have you ever used Wikipedia for medical information? How often do you use Wikipedia for medical information? There is no statistically significant difference between the two sets of data. Do you routinely check the information on Wikipedia with another source? How much trust to place in the validity of the information you obtain from Wikipedia? One website to use for almost any piece of information (not assumed to be 100% accurate). Notwithstanding the obvious danger of there being confirmation bias, it would seem that our respondents generally applied the same criteria as Wikipedia applies to itself [17Wikipedia: Identifying reliable sources (medicine) 2016. Available at: https://en.wikipedia.org/wiki/Wikipedia:Identifying_reliable_sources_(medicine), 18Wikipedia:Verifiability 2016. Available at: https://en.wikipedia.org/wiki/Wikipedia:Verifiability, 40Heilman JM, Kemmann E, Bonert M, et al. Wikipedia: a key tool for global public health promotion. J Med Internet Res 2011; 13(1): e14. [http://dx.doi.org/10.2196/jmir.1589] [PMID: 21282098] , 50WikiProject Medicine 2016. Available at: https://en.wikipedia.org/wiki/Wikipedia:WikiProject_Medicine. Accessed: 15 Nov 2016]. They tend to exhibit caution over Wikipedia entries, exactly as Wikipedia suggests should be the case. As one respondent put it: I would never accept information from a single source. Any suggestion that the peer reviewed literature is free from error... [ellipsis in the original]. They concurred with Rössler et al. that Wikipedia gives a fast overview [63Rössler B, Holldack H, Schebesta K. Influence of wikipedia and other web resources on acute and critical care decisions a web-based survey ESICM LIVES 2015; 3-7 October Berlin. 2015.] and, like the students in Herbart et al. [39Herbert V. Andreas Frings, Rehatschek H, Richard G, Leithner A. Wikipedia – challenges and new horizons in enhancing medical education. BMC Med Educ 2015; 15(32)], used it as a starting point for further reading. Given the near-ubiquity of Wikipedia as a source of information on just about any topic and its widespread use by medical students and doctors in training, it is difficult to imagine that it will cede its dominant position any time soon. Accuracy and reliability have clearly been of justifiable concern and will, despite efforts to the contrary, likely remain so. The fact that anyone can edit does sometimes mean that persons who do not know better do edit. Not all errors and inaccuracies in Wikipedia are born out of malice (as was the case with Hari as mentioned above [11Aikenhead D. Johann Hari: I failed badly. When you harm people, you should shut up, go away and reflect on what happened. The Guardian. 2015.]) but rather out of ignorance of developments – hence the Cochrane/Wikipedia Initiative, created to make as sure as one can be that the sources used are as up to date as possible [51Cochrane Collaboration-Wikipedia Initiative 2016. Available at: https://meta.wikimedia.org/wiki/Cochrane_Collaboration-Wikipedia_Initiative/Welcome. Accessed: 25 November 2016 ]. And yet, perhaps the very doubt over Wikipedia’s accuracy is its greatest strength as a means of informal education of doctors. Doubt demands reassurance; reassurance is found by triangulation, by checking with other sources. We are supposed to be in an era of evidence-based medicine [30Sackett DL, Rosenberg WM, Gray JA, Haynes RB, Richardson WS. Evidence based medicine: what it is and what it isn’t. BMJ 1996; 312(7023): 71-2. 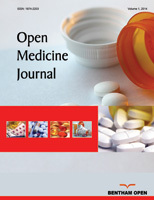 [http://dx.doi.org/10.1136/bmj.312.7023.71] [PMID: 8555924] , 31Greenhalgh T. Narrative based medicine: narrative based medicine in an evidence based world. BMJ 1999; 318(7179): 323-5. [http://dx.doi.org/10.1136/bmj.318.7179.323] [PMID: 9924065] ], therefore the development of the skill of triangulation is to be encouraged. It does not take much time to identify articles in peer-reviewed journals which should be never have made it past the reviewers (such as Wakefield et al. in 1998 [41Wakefield AJ, Murch SH, Anthony A, et al. Ileal-lymphoid-nodular hyperplasia, non-specific colitis, and pervasive developmental disorder in children. Lancet 1998; 351(9103): 637-41. [http://dx.doi.org/10.1016/S0140-6736(97)11096-0] [PMID: 9500320] ]) or whose publication may once upon a time have been justified but whose content is now out of date. That medical and health articles on Wikipedia can be so fully referenced and still be doubted is arguably a good thing and one whose effects may be spread into other, more trusted, publications. In this way, one might envisage a future in which no one source is taken to be automatically true but in which triangulation and the evaluation of evidence become the norm to the point of banality. For doctors and other healthcare professionals to embrace editing Wikipedia articles requires them to develop and exercise the skills not just of commununicating scientific ideas in writing, with due regard to the conventions of academic referencing, but also with due regard to the lay audience at whom Wikipedia is aimed. As some of those who have attempted this make clear, such writing is not an easy task but it is one which demands a high level of rigour and clarity of expression [8Azzam A, Bresler D, Leon A, et al. Why medical schools should embrace wikipedia: Final-year medical student contributions to wikipedia articles for academic credit at one school. academic Medicine Journal of the Association of American Medical Colleges 2016., 53Health CO. Editorial base blog Rewriting Wikipedia 2016. Available at: https://cochraneohg.wordpress.com/2016/07/08/rewriting-wikipedia/. Accessed: 26 November 2016]. 1 Ganfyd is an acronym for get a note from your doctor. Greenhow C, Robelia B, Hughes J. Web 2.0 and Classroom Research: What Path Should We Take Now? Educ Res 2009; 38(4): 246-59. Naughton J. A brief history of the future: origins of the internet. London: Phoenix 2000. George DR, Rovniak LS, Kraschnewski JL. Dangers and opportunities for social media in medicine. Clin Obstet Gynecol 2013; 56(3): 453-62. Laurent MR, Vickers TJ. Seeking health information online: does Wikipedia matter? J Am Med Inform Assoc 2009; 16(4): 471-9. Azzam A, Bresler D, Leon A, et al. Why medical schools should embrace wikipedia: Final-year medical student contributions to wikipedia articles for academic credit at one school. academic Medicine Journal of the Association of American Medical Colleges 2016. Brioschi F. Wikipedia: una rivoluzione silenziosa che sta cambiando la realtà. In: Laszlo E, Biava P, Eds. Il senso ritrovato. Rome: Springer-Verlag 2013. O’Reilly T. What Is Web 2.0. Design patterns and business models for the next generation of software communications & strategies 2007; 65: 17-37. Aikenhead D. Johann Hari: I failed badly. When you harm people, you should shut up, go away and reflect on what happened. The Guardian. 2015. Metcalfe D, Powell J. Should doctors spurn Wikipedia? J R Soc Med 2011; 104(12): 488-9. Henk E. Academics and Wikipedia: Reframing Web 2.0 as a disruptor of traditional academic power knowledge arrangements. Campus-Wide Inf Syst 2010; 27(3): 173-85. Knight C, Pryke S. Wikipedia and the University, a case study. Teach High Educ 2012; 17(6): 649-59. Burgos C, Bot A, Ring D. Evaluating the effectiveness of a wiki internet site for medical topics. J Hand Microsurg 2012; 4(1): 21-4. Dunne SS, Cummins NM, Hannigan A, Shannon B, Dunne C, Cullen W. Generic medicines: an evaluation of the accuracy and accessibility of information available on the Internet. BMC Med Inform Decis Mak 2013; 13: 115. Konieczny P. Teaching with Wikipedia in a 21st-century classroom: Perceptions of Wikipedia and its educational benefits. J Assoc Inf Sci Technol 2016; 67(7): 1523-34. Soules A. Faculty perception of Wikipedia in the California State University System. New Libr World 2015; 116(3/4): 213-26. Frey EF. The earliest medical texts. Clio Med 1985-1986; 20(1-4): 79-90. Mattern S. Galen and his patients. Lancet 2011; 378(9790): 478-9. Matheson D. Post-compulsory education in Suisse romande. Glasgow: University of Glasgow 1992. Matheson DJ. An examination of some of the difficulties of establishing an open university in a small linguistic area: the case of Suisse romande. Int J Lifelong Educ 1996; 15(2): 114-24. Matheson C, Matheson D. Access and Accessibility in E-Learning. In: Donnelly R, McSweeney F, Eds. Applied E-Learning and E-Teaching in Higher Education. Hershey, PA: IGI Global 2009. Freire P. A Pedagogy of the Oppressed. Harmondsworth: Penguin 1996. Sackett DL, Rosenberg WM, Gray JA, Haynes RB, Richardson WS. Evidence based medicine: what it is and what it isn’t. BMJ 1996; 312(7023): 71-2. Greenhalgh T. Narrative based medicine: narrative based medicine in an evidence based world. BMJ 1999; 318(7179): 323-5. Ozdoba C. Wikipedia: A good address for neuroradiologists? Clin Neuroradiol 2011; 21(3): 181-2. Hasty R, Garbalosa R. Wikipedia vs peer-reviewed medical literature for information about the 10 most costly medical conditions. J AM Ost Assoc 2013; 114(5): 368-73. Heilman MJ, West GA. Wikipedia and Medicine: Quantifying Readership, Editors, and the Significance of Natural Language. J Med Internet Res 2015; 17(3): e62. Haigh CA. Wikipedia as an evidence source for nursing and healthcare students. Nurse Educ Today 2011; 31(2): 135-9. Heilman JM, Kemmann E, Bonert M, et al. Wikipedia: a key tool for global public health promotion. J Med Internet Res 2011; 13(1): e14. Wakefield AJ, Murch SH, Anthony A, et al. Ileal-lymphoid-nodular hyperplasia, non-specific colitis, and pervasive developmental disorder in children. Lancet 1998; 351(9103): 637-41. Deer B. Secrets of the MMR scare. The Lancet’s two days to bury bad news. BMJ 2011; 342: c7001. Deer B. Secrets of the MMR scare. How the vaccine crisis was meant to make money. BMJ 2011; 342: c5258. Deer B. How the case against the MMR vaccine was fixed. BMJ 2011; 342: c5347. Hughes B, Joshi I, Lemonde H, Wareham J. Junior physician’s use of Web 2.0 for information seeking and medical education: a qualitative study. Int J Med Inform 2009; 78(10): 645-55. Jacqueline Laika's MedLibLog [Internet] 2013. Available at: https://laikaspoetnik.wordpress.com/2013/07/12/medpedia-the-medical-wikipedia-is-dead-and-we-missed-its-funeral/. 2013. [15 Nov 2016]. Available at: https://laikaspoetnik.wordpress.com/2013/07/12/medpedia-the-medical-wikipedia-is-dead-and-we-missed-its-funeral/. Rasberry L. Wikipedia: what it is and why it matters for healthcare. BMJ 2014; 348(g2478): g2478. Natarajan A, Racherla S. Wikipedia: encyclopaedia cardiologica. J R Soc Med 2012; 105(5): 191. Masukume G, Kipersztok L, Das D, Shafee TM, Laurent MR, Heilman JM. Medical journals and Wikipedia: a global health matter. Lancet Glob Health 2016; 4(11): e791. Matheson D, Matheson C. Medical and healthcare practitioners’ use of Wikipedia in clinical decision-making. Biannual Conference of the Comparative Education Society in Europe. 30 May – 3 June 2016; Glasgow. Rössler B, Holldack H, Schebesta K. Influence of wikipedia and other web resources on acute and critical care decisions a web-based survey ESICM LIVES 2015; 3-7 October Berlin. 2015.